With it's alabaster cliffs and an elevation of 6,920 feet, the towering Cathedral Mountain in Zion is one of the park's most recognizable landmarks, however hiking access is limited. Named by biblical pioneers, Cathedral Mountain towers over Zion Canyon at an elevation of 6900 feet. Although access may be limited, view Zion's impressive Cathedral Mountain from Angels Landing hike or along Zion Canyon's pullouts. 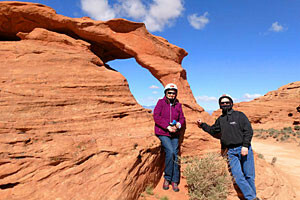 For adventurous and experienced climbers, several climbing routes do exist, such as Coke Explosion and Voodoo Rooves. Named in 1922 by biblical pioneer Stephen Johnson, Cathedral Mountain in Zion National Park is one of the park's most recognizable landmarks. 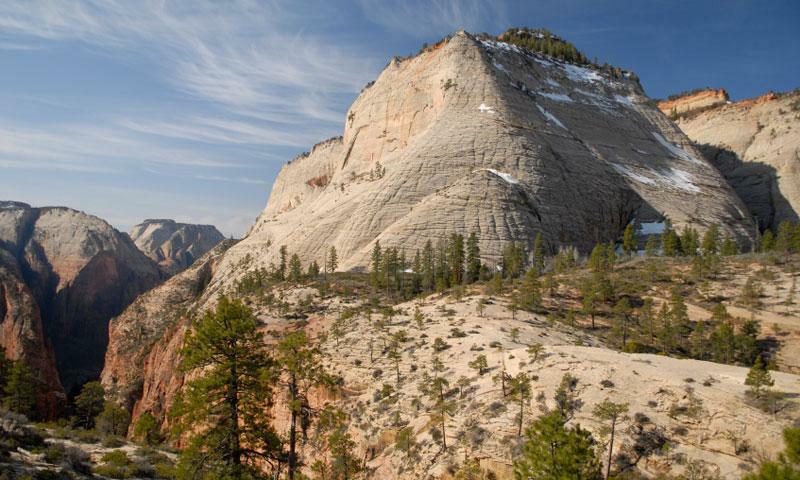 With it's white cliffs and at an elevation of 6,920 feet, Zion's Cathedral Mountain towers above the canyon floor. Located immediately west of Angels Landing, Cathedral Mountain in Utah is better suited for observing from a distance. The trail to Angels Landing provides the best views, as well as the Zion shuttle and the hike up to Observation Point. Keep in mind the shuttle runs between April and October, after which you may drive your own vehicle. Although its rounded white walls may look easy to ascend, summit-access is limited to a select group of confident climbers. The bleached rock face of Cathedral Mountain in Zion is not conducive for technical climbing, greatly diminishing its "because it's there" appeal with climbers. However there are several established climbing routes, such as Coke Explosion and Voodoo Rooves, averaging a difficulty of 5-10. There is no established trail to the base of Cathedral Mountain, offering 'bush trails' instead.